Continuing with mythological creatures, this story comes from Slavic folklore. 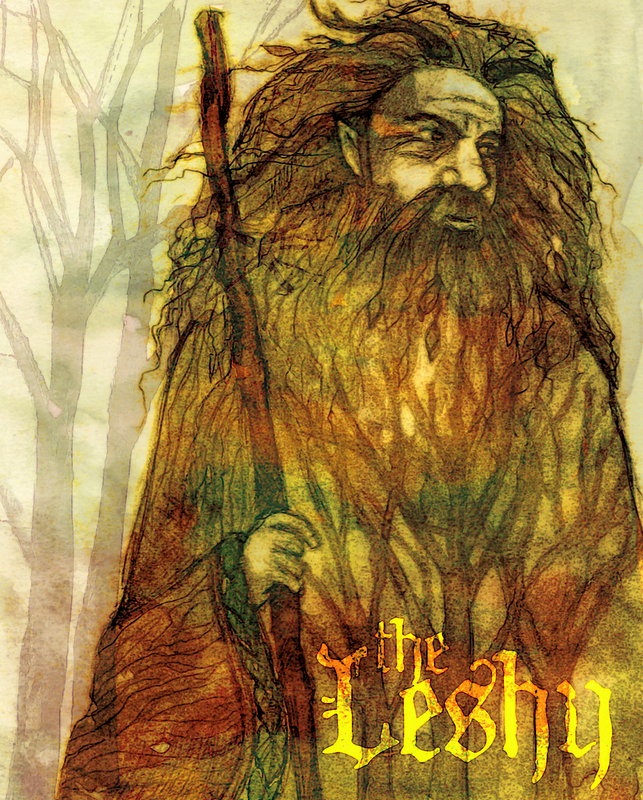 The Leshy is a male woodland spirit that protects wild animals and trees. He is a shapeshifter, but mostly appears as a bulky old man with branches, vines and bark all over his body. He is known to be very mischievous… Leshy find joy in confusing weary travelers in the forrest- he does this by moving trees and paths to lead them deeper and deeper into the woods.